Today, and every year on this day, I have an extremely important date in Pretoria. I would like to invite you to join us on this 3-hour trip by car. I am sure you will enjoy the trip, and perhaps some of the things I'm going to show and tell you, may surprise you. This hub contains a lot of pictures, so please make sure all items are loaded before you start reading. 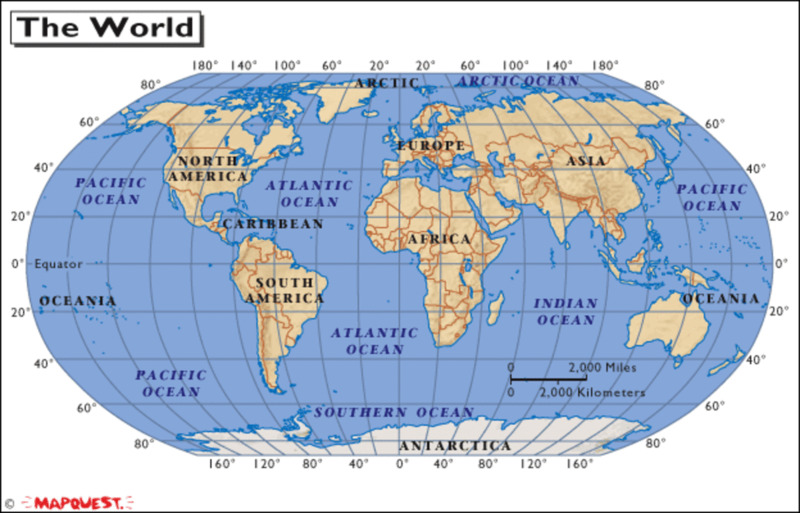 First a little background, just so you know where in the world we are. Believe it or not, South Africa has eleven official languages, excluding the languages of immigrants from Greece, Portugal, China, Israel, Germany, et cetera. Although English is the mother-tongue of the minority, it is South Africa's official language-medium. 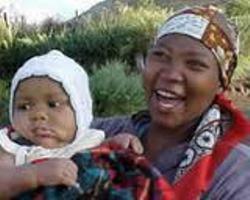 Setswana, Afrikaans and English are the most spoken languages in the North West Province. 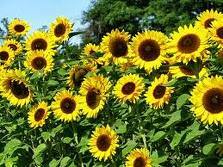 The Sun Flower is the flower emblem of the North West Province. We are now in the North West Province, the homeland of about three-and-a-half-million people and thousands of animals. Of course you will see no wild animals walking in the streets. They live safe and sound in provincial parks. 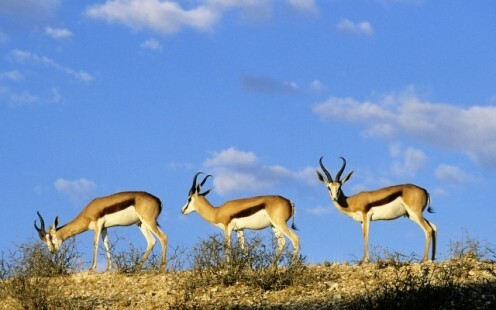 The NW Province accommodates fourteen parks, also known as nature reserves, and host some of the largest traders of wildlife in South Africa, trading nationally and internationally. 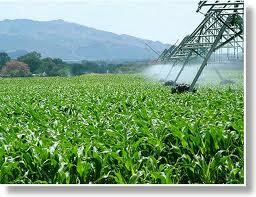 The principal products of the province are gold, platinum, diamonds, maize, beef and sunflower seeds. Winter means dry, sunny days and chilly nights. Temperature range from 2°C (35.6°F) to 20°C (68°F) in a single day. 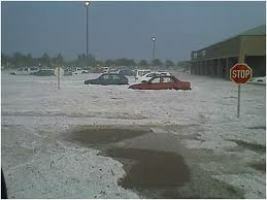 Hail storms during summer often damage and/or destroy structures, crops, gardens and vehicles. Lighting is also a killer of animals and people and considered in awe by golfers on golf courses, cyclers and people walking in open fields. Now, at the beginning of spring, the province is a colorful feast for the eye. Klerksdorp is in the Southern Region, called the Dr. Kenneth Kaunda District, and this is where our journey to Pretoria begin. I’ll probably talk your ears off, as this part of the country offers a lot to talk about. In fact, I will have to skip many important detail, for time, as always, is a factor to be seriously considered. Please take your seat, buckle up and relax. 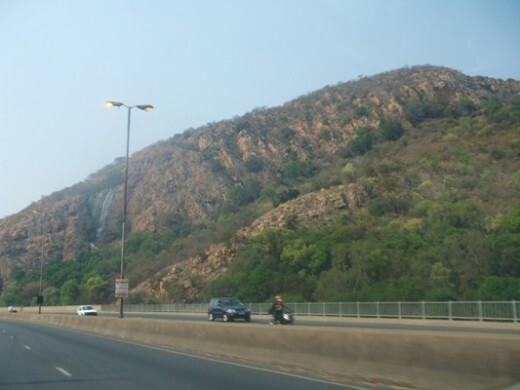 Today we choose the N12 to Pretoria - the Treasure Route - thus heading in a north-east direction. If we go south, we’ll end up in Cape Town twelve hours from now. Stature resembling the city's key industries - mining and agriculture. 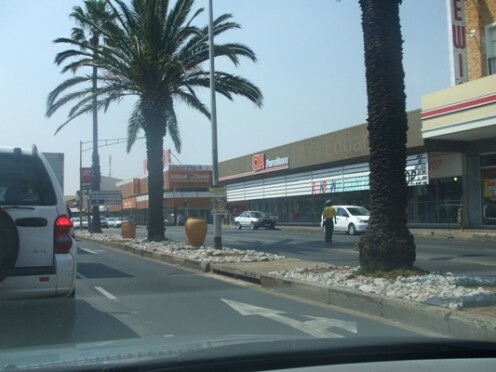 The first city on the N12 Treasure Route is Klerksdorp, known as the "City of People". 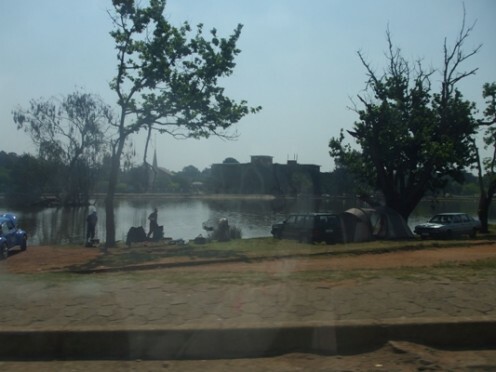 It is one of the four biggest cities in the North West province, if not the biggest. It is also the oldest city in the northern half of South Africa, founded in 1937. Thus 174 years old in 2011 - merely an embrio comparing to modern cities in Europe. 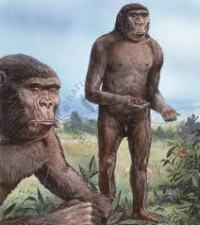 The primates called Paranthropus robustus (considered for a time by scientists as Australopithecus robustus) lived here between 2.0 and 1.2 million years ago. 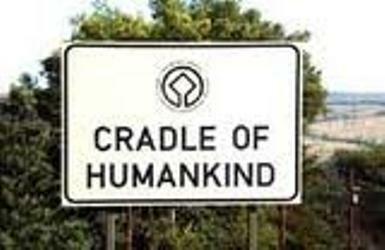 Within two hours we will pass the area known as the Cradle of Humankind, where nearly a third of the entire evidence for human origins in Africa was discovered, including the remains of the Australopithecus africanus – the first australopithecine ever to be discovered and documented, and recently they also discovered the fossils of Australopithecus sediba, which scientists suspect evolved into Homo erectus. If you google ‘Science by Berger and colleagues’ you will find all the detail you need. To make a long story short, when the Hollander Jan van Riebeeck set foot on shore in 1652 to establish a halfway house for ships - now known as Cape Town - South Africa was inhabited by the Khoikhoi, which means ‘First People’. Today we refer to those people as the Khoi people (Hottentotte) and the San people (Bushmen), and we combine the words to Khoisan. The color of their skins was light, almost yellowish brown. 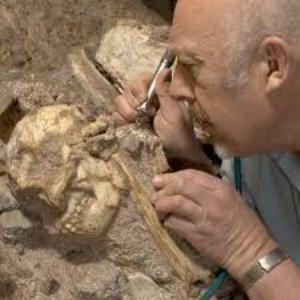 The blood of the San people contains some of the oldest genetic markers found on Earth – their Y-chromosomal DNA haplogroup (type A) is one of the oldest, splitting off around 70,000 years ago. The Nguni peoples, inter alia the Zulu and Xhosa, who migrated from Mid-East-Africa about two thousand years ago, as well as the Sotho people, who migrated from Mid-West-Africa about 200-500 CE - known as Iron Age immigrants - spread across Southern Africa, forcing the Khoisan to the edges of the country – to the sandy beaches and the desert where they were eventually forced into extinction by immigrants from Europe since 1654. Let me skip the tribal wars of that era. We know the madness of powerful leaders, coveting the territory and wealth of other peoples, killing and destroying as far as they go. 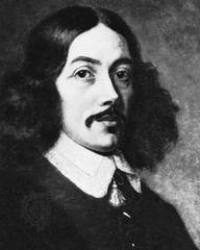 Fact is Jan van Riebeeck arrived in 1652 in South Africa to be the founder of Western culture and traditions. At that time wars, poverty and all kinds of epidemics in Europe inspired thousands of Europeans to migrate to South Africa. 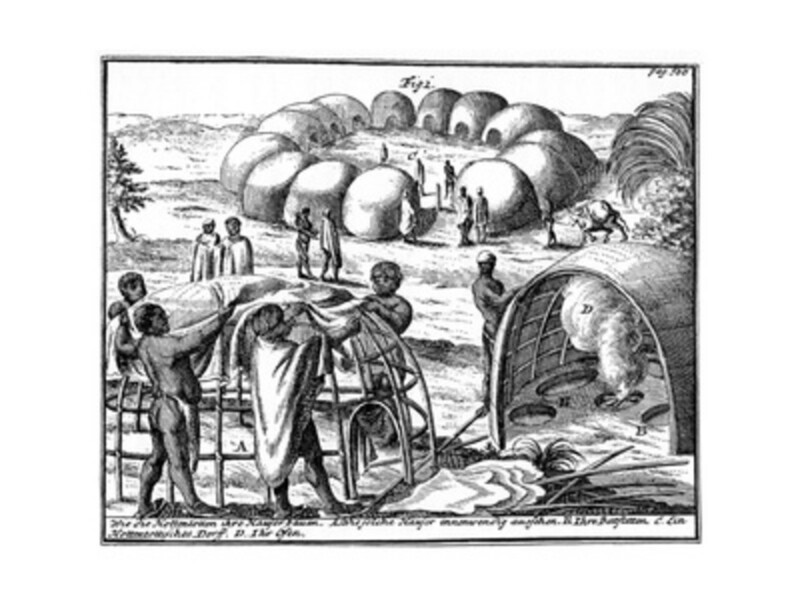 Here they flourished as farmers and businessmen, enslaving the original inhabitants without blinking or blushing. By 1834 – almost two hundred years after Jan Van Riebeeck's arrival, whites considered themselves as thoroughbred South Africans. Their migration up north, to the northern part of South Africa, called the 'Groot Trek' - Big Trek - started in 1834. For now the only important fact is that some whites managed in 1837 to establish the first white settlement on the banks of the Schoonspruit - (a creek of the VaalRiver) - and they called it Klerksdorp in honor of the first magistrate, Jacob de Clerq. By the way, our old president FW de Klerk was once an attorney in Klerksdorp before he went into politics - as a matter of fact I'm working in the building that was erected by the company he was working for. Another famous person who was born and raised in Klerksdorp, is Archbichop Desmond Tutu. 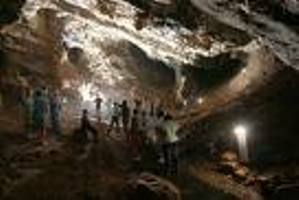 More information about Klerksdorp is available at http://en.wikipedia.org/wiki/Klerksdorp. This specific region was the territory of the Tswana people, correctly called the Batswana - they are related to the Sotho people, correctly called the Basotho. The prefix ‘ba’ means ‘people of’. 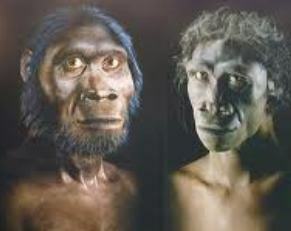 Some alleged that they migrated from East Africa to South Africa in the 14th century, other say they were here since 400 AD, and some say they were here since the beginning, whenever that was. 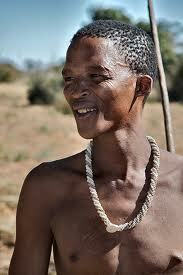 The Batswana was ruled by a king and every village, comprising of huts built with mud, poles and thatch, had a chief. The whites bought land from the chiefs, paying with cattle. (Money was a Western medium of exchange totally unknown to the blacks.) Because of endless disputes over chieftain ascendancy, there are today fifty-nine different groups of Batswana in this country, and keep in mind that the Batswana is but one of eleven native nations in this country. The history of each nation in this country is extremely interesting, but on this journey I don't have enough time to tell you all about it. Let's jump to 1994, when Apartheid was demolished. 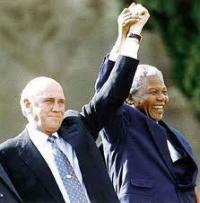 Thanks to Nelson Mandela and FW de Klerk (who shared the Nobel Peace Prize in 1993) we are all today in South Africa one nation, called the Rainbow Nation. We are now, five minutes after we've left Klerksdorp, passing a little town called Stilfontein. (Silent Fountain). Like most of the towns in this region it was founded to host employees of gold mine companies. 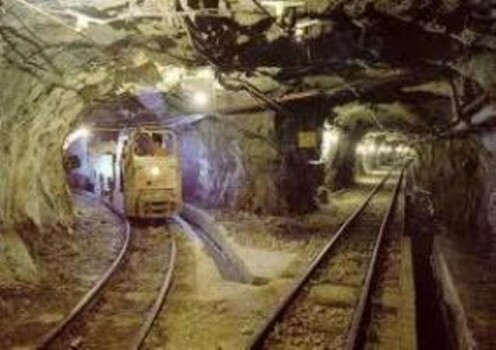 Up until a few years ago South Africa was the world's largest gold producer. As far as I can remember we are now in the 3rd position. Most economic activity is concentrated in the southern region between Potchefstroom and Klerksdorp. 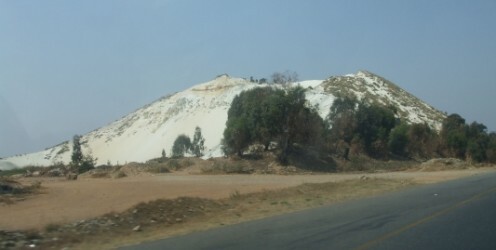 But then there is also Rustenburg in the Eastern region, surrounded by platinum mines, where more than 83% of the province's economic activity takes place - the reason why the North West Province is also known as the Platinum Province. You will notice that the landscape of the southern region is largely flat regions of scattered trees and grassland. (In contrast with the dense bushvelds and subtropical areas in the Eastern region). Half an hour from Klerksdorp we enter Potchefstroom, the region's academic city accommodating the Pochefstroom Campus - one of three campuses - of the North West University. It stands to reason that this city is known as “The City of Expertise”. The original university, called the Potchefstroom University for Christian High Education, was founded in 1869. Currently it is one of the biggest universities in the country, accommodating approximately thirty-two-thousand students per year. 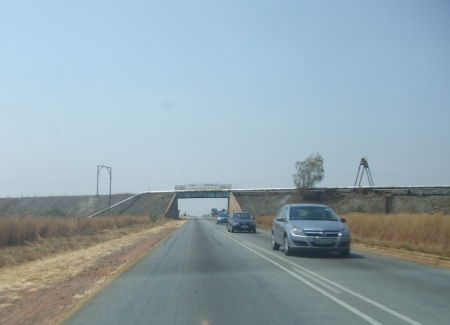 Potchefstroom also hosts a technical- as well as an agricultural college - the latter is the largest single agricultural service point on one terrain in Southern Africa. Academies for tertiary education in Somatology, Health and Skincare Therapy, Holistic Health Therapies, Interior Design and Decorating, attract students from all over the country, making this city a sparkling globe of youth, energy, intelligence and romance. 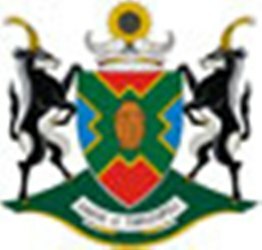 Like all towns Potchefstroom also has many nursery-, primary- and secondary schools. Potchefstroom is also known as North-West Province's "Home of Sport". It is the provincial headquarters of seventeen of the most important sports. The city’s beautiful botanical garden covers an area of almost 3 hectares. Most of the plants in this garden are indigenous. 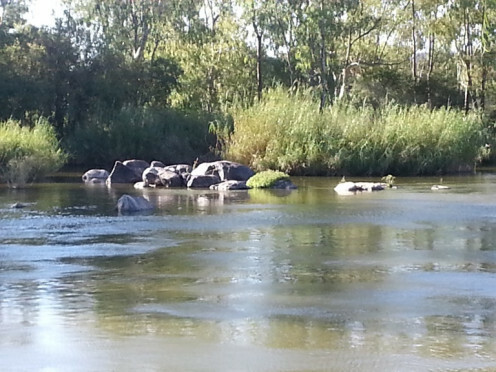 Situated on the banks of the Mooirivier - (Beautiful River) – Potchefstroom is only one year younger than Klerksdorp. Some people still believe Potchefstroom is the oldest city and not Klerksdorp, but as far as I remember Klerksdorp finally claimed the ‘trophy’ in 1987 during its 150th year of existence. 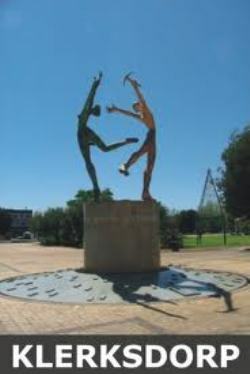 Potchefstroom was the first capital city of the Zuid Afrikaanse Republiek (ZAR), also known as the Transvaal Republic. It was an independent republic, ruled by the whites who migrated from the south, in the second half of the 19th century (1857-1877). It dissolved under the rule of the British Empire and was reestablished in 1881-31 May 1902, when it was once again annexed by the UK. 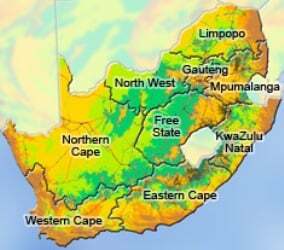 In 1910 it became the Transvaal Province of the Union of South-Africa. Paul Kruger was this parliament’s most famous president. My great-great grandfather, PJ Coetser, also known as Kaleshaan (man with the one-horse car), was at a time minister of affairs considering the blacks, responsible to maintain peace through negotiations with their kings and chiefs. 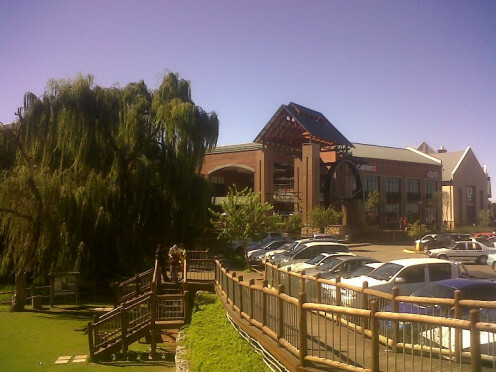 Potchefstroom has modern shopping centres, providing goods to all people in the region. Some people from Klerksdorp reckon Potchefstroom provides the best, while some people in Potchefstroom consider Klerksdorp as the best provider. So especially on Saturday mornings going and returning between these two cities is the mission of many. 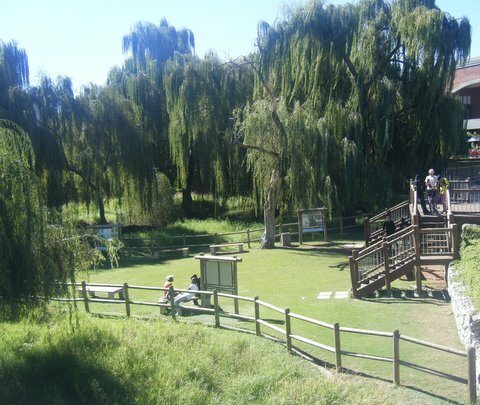 Holiday resorts on the banks of the Potchefstroom Dam and the Boskop dam, as well as in nearby nature reserves, and at its 18-hole country club, offers relaxation to the citizens of Johannesburg – the largest city in SA one-and-a-half hour per car from Potchefstroom. Although another city in SA (Stellenbosch) is known as the ‘City of Oaks’, more Oaks are growing in Potchefstroom. One of its streets, Oak Avenue, framed with oaks planted in 1910, was declared a national heritage site in 1976. Potchefstroom accommodates many industries for steel, food and chemicals. It is also the domicilium of the province’s regiment of the South African National Defence Force. This dome was created by a massive meteorite some 2023 million years ago. 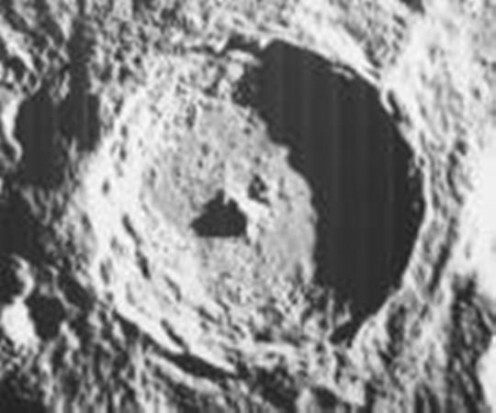 It is over 10km³ (more than 6 miles³) in diameter and is the oldest evidence of this nature in the world. 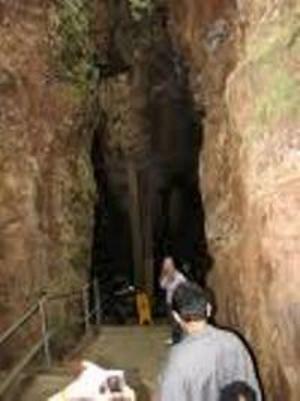 With a radius of 190km (118 miles) it is also the largest and the most deeply eroded. 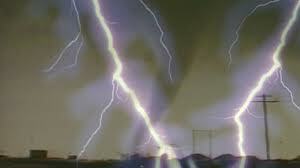 This energy release event caused devastating global changes, though today it is a awesome piece of nature. The eroded remains of the dome created by the rebound of the rock below the impact site, are rings of hills with beautiful green valleys beween them. 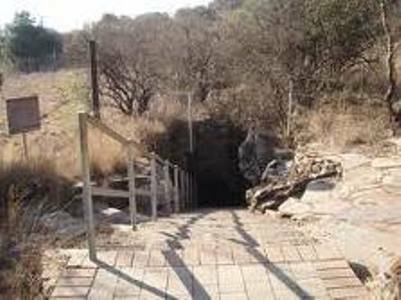 It is one of the province's prime adventure tourism sites with numerous tour operators and facilities catering for the needs of campers, hikers, rock climbers, canoeists and white water rafters. We can take another route back to the N12 to see what I regard as one of the most beautiful parts of the southern region. On our way back to the N12 we will pass a beautiful little town called Fochville. In this area we’ll find a number of Sotho and Tswana ruins. We’ll also find a stream of sulphurous water. In the early mining days they’ve struck this stream which to this day surges out of the borehole at 2,000 litres per hour. Also attracting tourists is a bird farm and trout hatchery. Due to my very important date we will not go that way today. We are still on the N12, heading north-east at 120km per hour - 75 miles per hour - which is the maximum speed allowed in our country. From a distance we see a monument on top of one of the hills - a memorial to a Boer scout named Danie Theron. Daniël Johannes Stephanus Theron is best known as the driving force behind the formation of a military bicycle corps for scouting and relaying messages. He was trained as a school teacher, but after earning a law degree he became a lawyer and notary with his own law firm in Krugersdorp. During the Second Boer War between the British Empire and the Zuid Afrikaanse Republic, Danie was in charge of a significant scouting unit, the Theron's Reconnaissance Corps. The British Commander in Chief, Lord Roberts, referred to Theron as "the hardest thorn in the flesh of the British advance", and he put a reward of £1,000 on Theron’s head, dead or alive. At one occasion Danie sneaked through British lines to convey a plan for a breakout operation - and sneaked through the lines a second time to deliver the reply. 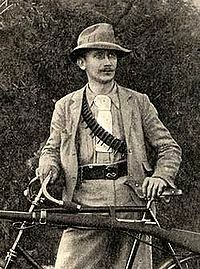 After the British occupied most of the Transvaal in March 1900, Theron and his men became well known for the guerrilla campaign they conducted against the British Army. While scouting alone on a koppie (hill) near Fochville, he was killed in action. Danie’s great-great-niece, Charlize Theron, is today a well-known actress and model in Hollywood. At this point we have a choice. We can stay on the N12 to end up in about half an hour in Johannesburg where we will take the M1 highway to Pretoria. But we prefer to turn left to approach Pretoria via a less boring road. 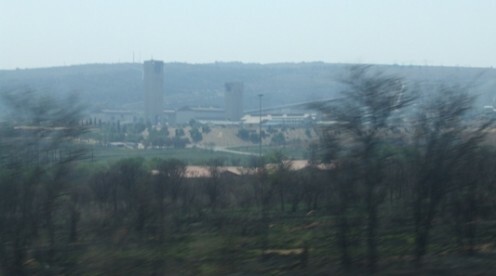 The mine-town behind dense trees on the left is called Carletonville. On the right side is a township expanding at an alarming speed. 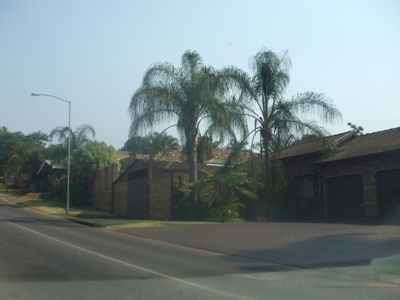 Since Apartheid had been demolished in 1994, many blacks moved to previously ‘white’ suburbs, and some whites moved to previously ‘black’ suburbs where the cost of living is minimal. The Government’s efforts to build houses for the poor seem to be totally insufficient. 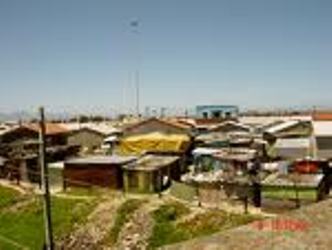 You want to know why don't they build lovely huts instead of unsightly shacks with corrugated iron? 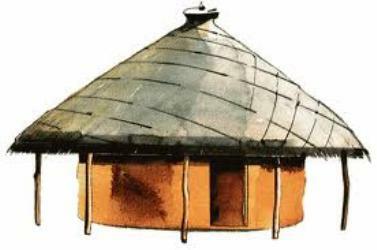 Then consider the fact that the original recources for huts are no longer (freely) available, the risk of fire, as thatch roofs are extremely inflammable, and the fact that open fire for cooking and heating is still the order of the day in townships, in spite of electricity and gas. 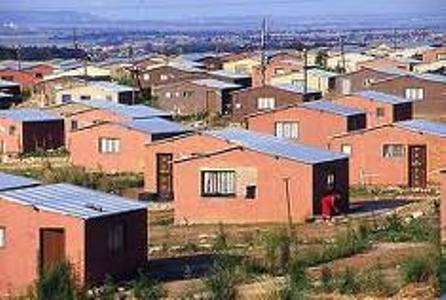 An anachronism, also the order of these days in many townships, is an expensive car in the driveway of a house build with corrugated iron. 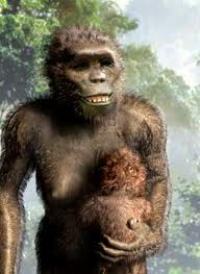 The only place in the world where remains of Paranthropus robustus were discovered (amongst others hominids). Time to accelerate - remember I have an important date in Pretoria. 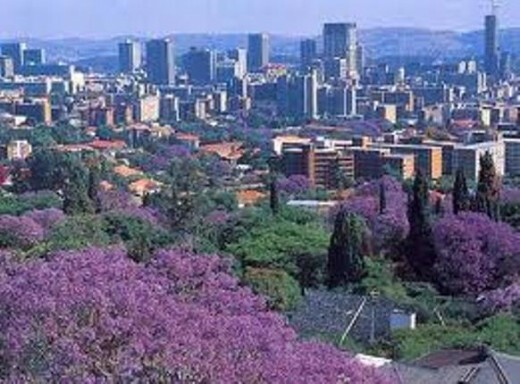 Pretoria, The Jacaranda City also known as Tswane. And there he is, MY DATE, three years old today, my darling grandson Julian, accepting a kiss from his favorite cousin, Mia. 25/09/2010.. BUT THIS WAS LAST YEAR! Don't ever be a party-pooper! So amazing! I hope one day I can visit. Thanks for sharing! 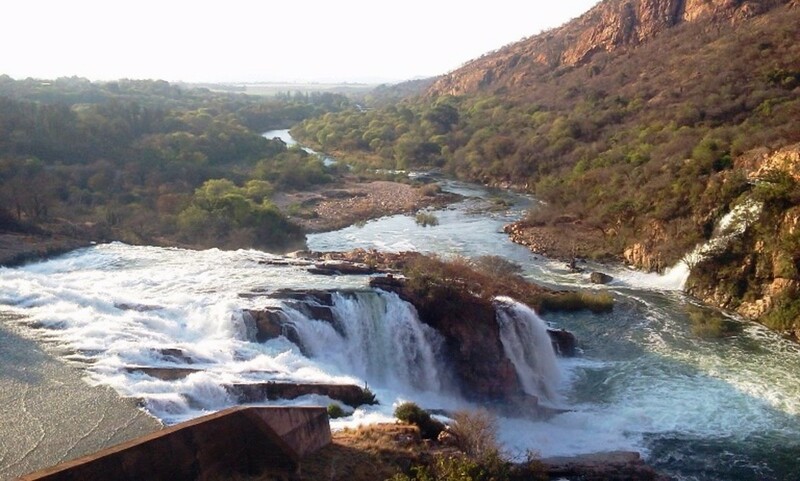 Hi Martie, the NATURE in SA is truly outstanding in it's beauty. I wish I had been into photography when I lived there. The photo opportunities must be endless, that is, if one dares to carry a SLR around with you! Let the memories of the Jacaranda Trees in Pretoria and the Tibouchina Trees in Durban stay with me. They were so stunning in their beauty, something one neverforgets ! My beautiful South Africa! Cape Town, the most beautiful city in the world! My thoughts are of those beautiful people! Your Hub brings to me, a strange mix of emotions, some good, some so very bad! I shall let the good ones linger for a little longer. Thanks for sharing Martie, voted up. Thank you, Deborah and James-wolwe! This is what makes the Internet so awesome: We can learn all we want to know about other countries and their people better than ever before. Beautiful place to visit.Good work. Thanks so much for this hub. Martie.. wow I would love to visit south Africa and meet you.. this hub is so full of information and the beginning of man.. I love it.. I had no idea about all how interesting South Africa was..
A wonderful and interesting read here Martie; your obvious hard work has certainly paid off. So true, DDE, misleading information indeed twists our perception of a country. Since I became active on the Internet and made friends all over the world, I've learned that South Africa has the same challenges as all other countries, and people are the same in spite of their race. Culture as well as religious and political principles are actually the only matters that cause significant difference of opinions, while money causes a significant difference in status. I am following you now and look forward to read your hubs. Always so nice to meet a fellow-South African in here even when they've emigrated to another country. Hi expertscoloumn - thanks for the link. I will read asap. It seems you love adventure, well in that case I encourage you to read the following, its an adventure of couple from Belgium who went on an adventure through Congo, hope it excites you aas it did me. Peggy, I enjoyed your hubs about America very much. Your presentation, however, differs slightly from mine. Yours are more to the liking of traveling agencies, featuring tourist attractions, while I've decided to show more of the common sightseeing while on the road. Those boring open fields and ordinary hills, but then with some history as well. 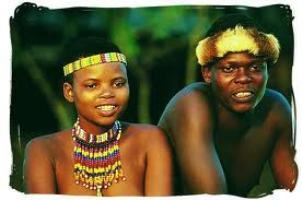 Not with the intention to encourage tourism, but to introduce the real South Africa and to destroy misconceptions. The majority people not living in South Africa - or elsewhere in Africa - has no idea what SA is really like. In 1911 I had a visitor from England who were under the impression that SA was a 3rd-world kind of jungle with no modern cities and towns. And you know, millions of people believe that elephants walk freely in our streets. Thanks Martie for showing us a portion of South Africa through your eyes as you traveled through the towns and countryside to make that special date with your very cute grandson on his birthday. I like how you lightly interweave a bit of history with your travelog. I really liked this as it is unlikely that I will ever get to travel those roads or see those sites in person. Up and interesting votes! Hi, my dear Epi, thank you so much for your continuous friendship and support. You are such a dear, supportive friend. I wish I could clone myself just for you. Imagine! Lol! Enjoy your supper! LadyLyell - how wonderful to meet you! George is one of the most beautiful towns in the country. The entire region is nothing but a paradise. I, too, lived in Johannesburg for 10 years. I thought it was exciting to live in such a big city, but thereafter, when we moved to the country, I realized how stressful it was. I stopped by this article as I will be returning to South Africa to live in three weeks time (George) and found this to be a wonderful reminder of my thirty three years previously spent in the country mostly in Johannesburg. The photos brought back many memories and of course I recognised many places. 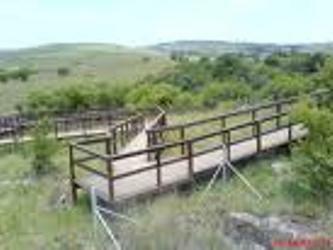 I have written a few hubpages with a few more pending on my travels in South Africa as it is a country with much to be shared. I will be reading your hub on The Lion Park as I wrote of my terrifying experience there. I have only recently written articles and have far to go with skills in this field but love to share knowledge with others. So, thank you for being a source of encouragement by your hubs. Now I must return to my packing as I plan my return to the country I love. In recent times when Nepal is drafting a new constitution, South Africa is taken as an ideal nation. Situation in Nepal today is very similar to South Africa during the early 1990. I have taken interest to read South African history, culture and geography. I feel delighted to read this hub. A.A. Zavala – My intention with this hub and the rest in this series (still to be hubbed), is to make traveling in SA a vivid experience for those who will never get the opportunity to visit my country. Thanks for calling it a gem. 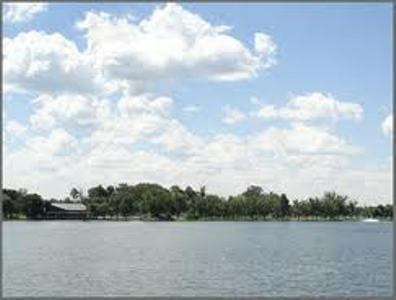 On my profile is a link – another route from Pretoria to Klerksdorp – also containing a lot of interesting information. Thank you so much for sharing this on facebook. I can't believe I missed this gem. crystolite - Thanks for reading and leaving a comment. Much appreciated! Good article that has an informative and educative pics on it,thanks for sharing. Mizzblk - welcome in my corner. You will love South Africa... Just beware of the criminals. Pray with me that God bless them with everything they need to stop practising crime. My best wishes to you. Loves To Read – Thanks for reading. I plan more hubs like this and I know you’ll love them all. If you want to meet all my grandchildren, please read ‘Never be a party pooper’. Enjoy your day, my dear friend. God bless! Wonderful and enjoyable hub Martie. I have always loved Africa. Thank you for giving us a tour through your part of it. This and the documentaries on tv are the only way that most of us are ever likely to come close to visiting. 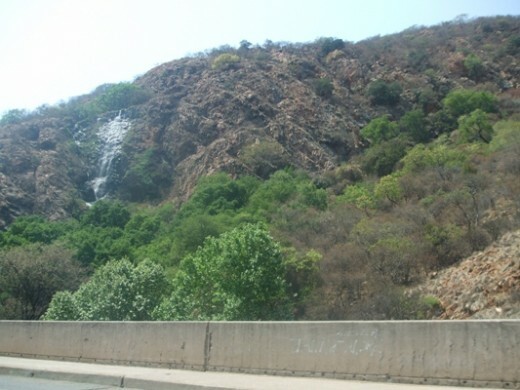 Pretoria with it's Jacarandas is a sight to behold and what a blessing you had at the end of your trip. It is amazing what lengths we will go to, to see our families. Your grandkids are so gorgeous. Christopher Price – :))) I promise I’ll cut the time of all coming trips with 66%. So please sit still and don't whine. After the tour you will love this country and its people. Thanks for the full tour. I learned more about SA through this hub than I have from any other source. Very well done. Notice I never kicked the back of your seat or whined, "Are we there yet?" prasetio30 – I’m so glad you regard SA as one of the best country for traveling. It is also a lovely country to live in, in spite of its highest crime rate in the world. Stay on for the trip back to K’dorp, and all the following trips. I plan to make the hubs shorter – I don’t yet know how, for here are so many beautiful and interesting things to see. Enjoy the weekend over there! South Africa is one of the best country for traveling. I'll out this country on my travel list. The Jacaranda City in Pretoria is beautiful. Thanks for showing me about this. Good work, Martie. Vote up as usual. Tony, I like your idea. I also want to suggest that you consider covering the whole topic ‘Farming in SA’ and then zoom in on these two farms of yours. Then I don’t need to go into farming issues while ‘driving’ through the country – merely insert a link to your hub. Then I can stick to showing landscapes and brushing over some historical issues – Not in depth - Wikipedia is an ideal resource for anyone who wants to do some thorough research. And even many of your hubs. 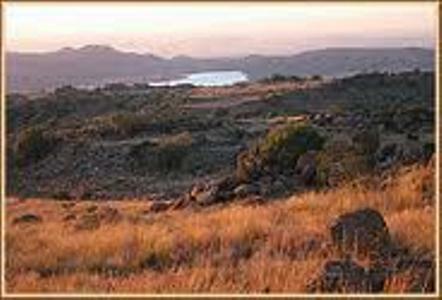 I also want to give some background about life in SA – north of the Orange river - before 1837 – different tribes... social orders... Mzillikhaze’s invasion... A hub about farming will blend perfectly with this... for farms initiated ‘enslaving’ - of course not forced – logically farmers created job-opportunities... But what do you think about this? Oh yes, I thought those two Kirsteins were related. Take care! Martie - if I remember correctly Flippie was Alex's nephew. I think Alex's brother (Flippie's dad) farmed on Lemoenfontein and Alex's farm I know was Dennegeur. I have some lovely photos of Dennegeur where I spent many happy holidays and want to do a piece about it. Nellieanna – I am so glad you enjoyed the drive. I am really eager to show you our country in this manner – merely through my eyes and my perception. As I said, it will only broaden the reader’s perception. Something special about SA, and perhaps in the USA too: When I was in Holland – 10 years ago! - I was amazed to see so much evidence of human-achievements and human survival in spite of horrible wars, famine and deaths caused by fatal epidemics. Even the ‘open’ spaces were evidence of humane advancement. Here in SA, when traveling between towns – not talking about traveling in big cities from suburb to suburb – we have so many beautiful open spaces, with no trace or trail of the constant wars between the different tribes before the whites arrived or even in the beginning of settling, but only here and there of the wars between Brittain and us, in other words the so-called ‘civilized’ wars – monuments, millions of graves, the stuff in museums, etc. Looking at the hills, mountains and valleys, the awesome nature, beautiful animals and birds, and even at people in certain areas, struggling to survive because they/we have multiplied like maggots on a corpse - one feels the power in the universe – the force that no man will ever be able to overmaster. I call that force God, though I realize that too many people regard him merely as some kind of glorified Christmas Father or perfect human Father. Stay on board and see what I see. A big hug for you from me! Who knew this little Texas lass would find so many outstanding South African friends here in Hubpages! I was entranced with the great continent from seeing "Out of Africa" quite a few years ago in which Meryl Streep played Danish baroness Karen von Blixen who came into possession of a farm in Africa and lived a most unusual life there. It was among my favorite movies, though I hadn't thought of it in years. Of course as you just clarified - SA is NOT just any country in Africa. Its history is ancient - and I so much appreciated that education about the earliest humanoids and humans there - and the progress of time has produced an oasis of culture, it seems. I'm pleased to know more of it - and from first-hand loving, vibrant experience, not just sterile history! 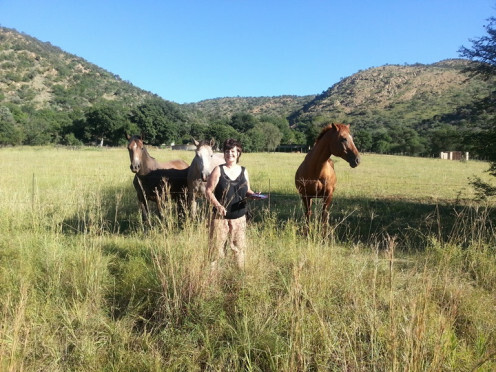 Marie, your marvelous insider's introduction to South Africa is completely wonderful. Your skill with holding interest while telling facts is outstanding! One feels like having been around and through the country; - which is more like countrieS, with the variety and history. It reminds me of Texas which is anything but one homogenous state, but easily could be five distinctly different ones, none of them too small, either! I felt a bit like Wayne expressed - in places your SA looks a bit like our West Texas! But the only animals similar to those you pictured are in zoos or "exotic herds" which I disapprove of hunting. Anyway, it was great and you're both generous and wise to include many of our Tony's links. I've read many of them and they are great too. 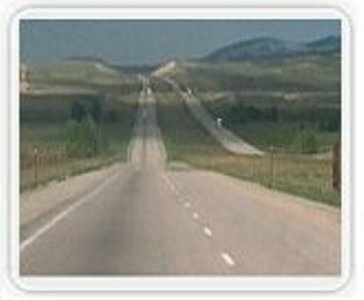 That 2-lane highway with side-by-side traffic going opposite directions was the only kind there were when I was growing up & indeed till I was 'way grown up and the first 4-lanes and bigger began to appear. Passing was both risky and frustrating. 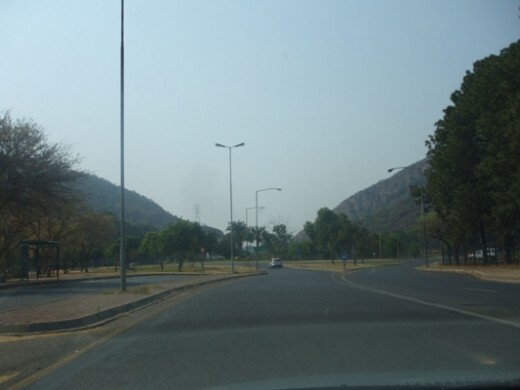 Any good traveler knew better than to be going through hilly rural areas on weekends when all the farmers were out in their trucks (tractors, too, at times) en route to town to shop! Of course strict rules forbade passing where there were "double" lines in the center of the road due to limited visibility of oncoming traffic;- so one could be stuck behind the farmers' families on the way to town for what seemed forever! Again thank you for this great visit to your country! I’m going to tell and show you ‘everything’ about SA. But remember South-Africa is not ‘Africa’, but the most civilized and flourishing country in Africa. It should not be lumped together with any of the other countries. Only sometimes, when we hear of some corruption in our government, we fear that we may go down the gutters like the other countries. South Africa is truly a paradise comparing to any other country in Africa. Not regarding nature, but regarding many other matters. Stay on board! began. This is so interesting. Thank you. tonymac04 – Is it not nice to enjoy some good memories while reading another hubber’s hub? That is why I enjoy your hubs so much. But of course I enjoy the hubs about unfamiliar environments and situations just as much. The Kirstein’s are well known in this part of the world – I know a few of them. (Business associates.) Flippie Kirstein died last week – perhaps he was related to Alex? I’ll let you know when I go to Pta again – actually I would like to give you a CD of the [new] band ‘Super Sonics’ - (trumpet, saxophone, clarinet, trombone, vocal, my son on the tuba, and Flippie van Vuuren on the accordion) - a variety of popular songs of all genres. You’ll love it! 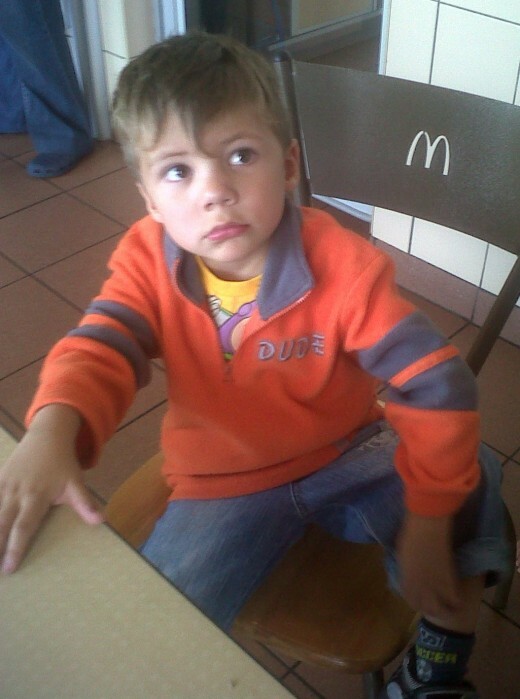 Micky Dee – I’m smiling from ear to ear. And I’m thinking: “Did Micky merely copy and paste Tony’s first sentence? Or did he first use the dictionary on Internet to make sure he copy and paste the most appropriate sentence? Or was he at a time a citizen of SA? Or... or... or.... ? Whatever, you did pull a smile out of my heart. Baie dankie! (Thank you!) :)))) Stay on board for the trip back to Klerksdorp. Is Micky taking the micky out of me? LOL! Or do you really speak Afrikaans, brother Micky? Martie - dit was werklik 'n genotvolle reis! Martie - dit was werklik 'n genotvolle reis! Ek die die area baie goed - my tante het in die Klerksdorp omgewing geboer, en haar man was eintlik die laaste UP Parlementslid vir Klerksdorp, Alex Kirstein. 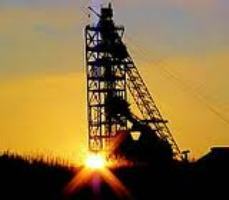 I also used to travel regularly on the roads you describe when I worked for HLH Mining Timber, which had a branch in Kerksdorp which I visited very often. Thanks for bringing back the memories, and for the links to some of my Hubs. Much appreciated. PS - gee my 'n luitjie as jy weer hier kom kuier, dan kan ons lekker gesels, of hoe? Wayne Brown – I’m so glad you enjoyed the drive. SA is indeed a land of contrasts – in nature as well as in people and their ‘ideas’ of right and wrong, clean and dirty, working and loafing, sufficiency and insufficiency, etc. I know most people in the world have a crooked perception of SA, so I thought let me bring you here, let me show you the beauty and also the ugly, and let me give you some background – thereafter you will know us from A-Z, and guess what, you will forever after love (and understand) our rainbow nation comprising eleven and more separate ‘culture groups’. What other country in this world accommodates such a variety of people, and what government has the responsibility to satisfy so many expectations? I am really proudly South African. Thanks for the read and please be my guest on all feature trips. 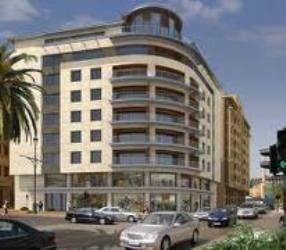 Petra Vlah – You will also like the rest of our amazing country. Mandela is, of course, the most respected and wise leader we ever had, and I really wish he could live forever. Thank you so much for reading and for encouraging me to keep my effort going. 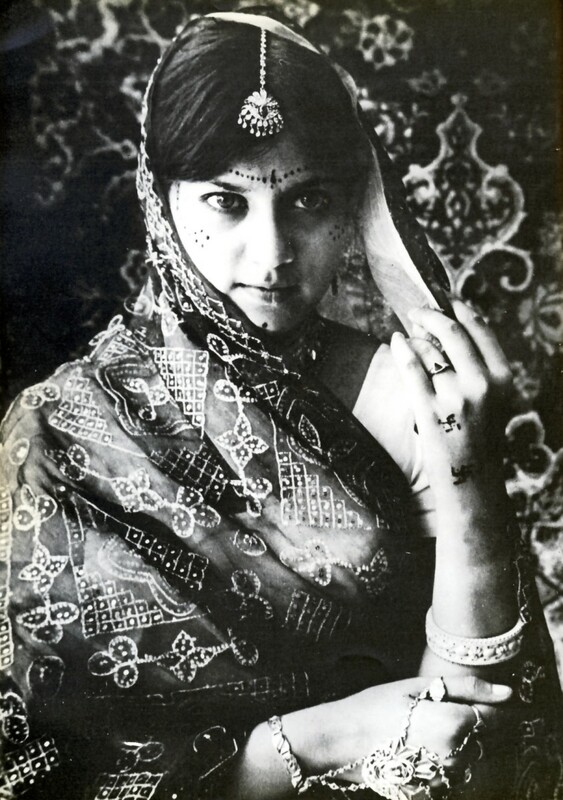 I thought by showing my country through my eyes and my personal perception, may broaden the perception of others. Those two on the steps are the little ones. The two older girls are now six and boots and all in the ‘mommy-mode’, passionately proving to each other how moms should care for their babies :))). They are the proud ‘moms’ of quite a lot of babies (dolls). I’ll post a picture of them in the next hub. Take care! This is an incredible hub about an amazing country. I learned more from reading this than I ever knew about South Africa. What a journey you offered us all. The history part of it is fascinating and so is the struggle of those people who endured so much. The day Mandela was freed and especially the blessed day he was elected President was a victory for humanity. Thank you so very much for writing this most informative hub and I hope you will keep this effort going and bring us more of the same. 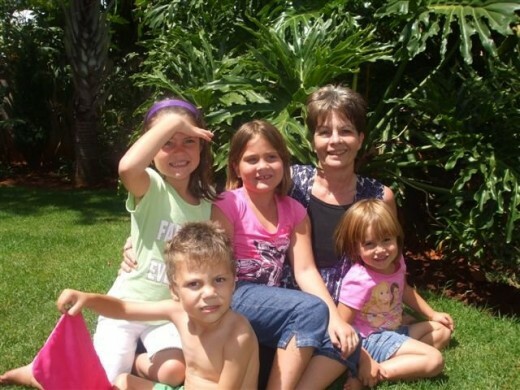 Your grandchildren are adorable and you have all the good reasons to be a proud and happy grandmother.